Rose gold balloon bouquet that makes a beautiful centerpiece. It's the love season again people so get all set to impress your sweetheart. CherishX brings to you a cute & sweet way to assure you those hugs & kisses. 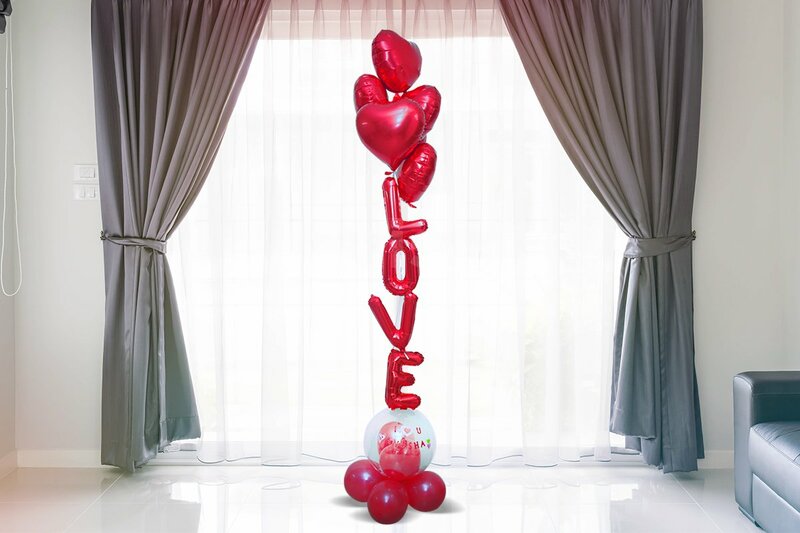 Rose bouquet is an old fashioned way- this time present your beloved with this Love You foil balloon bouquet. Its a cute little gesture from your side for your partner on Valentines. Consisting of I Love You printed red foil balloons, confetti balloon with a customised name of your bae, heart shaped & round red balloons. This is surely gonna make your Valentines special. If you are thinking to propose your long time girlfriend or even your boyfriend then this is so apt to make that right move. Let me tell you its cupid approved! You can always customise your experience with us by adding on a personalised message card, a cake to add the sweetness, a cookie box, a teddy beer among others. Check out the customisation list!